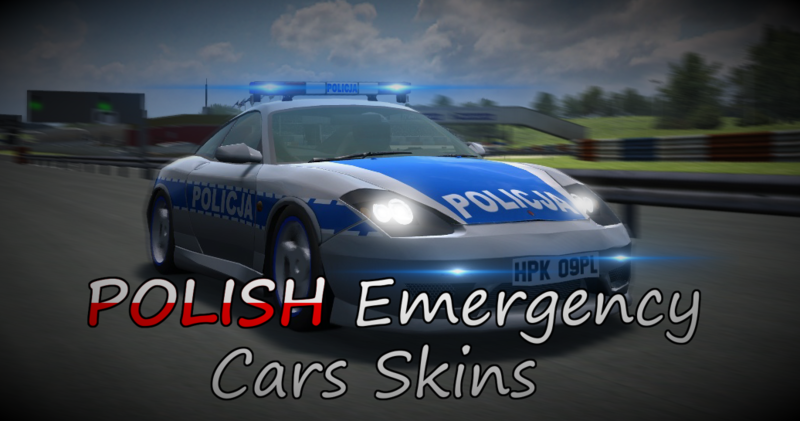 Welcome to the [TC] CityDriving Lotto! This event's jackpot is an estimated €140,000! This Lottery Draw is based upon the UK's National Lottery 'Lotto Bonus Ball', which is 1 'ball' randomly selected from a selection of 59 'balls' numbered 1 - 59. On Saturday 20th April 2019, the National Lottery will be aired live on TV in the UK where the Bonus Ball will be drawn. 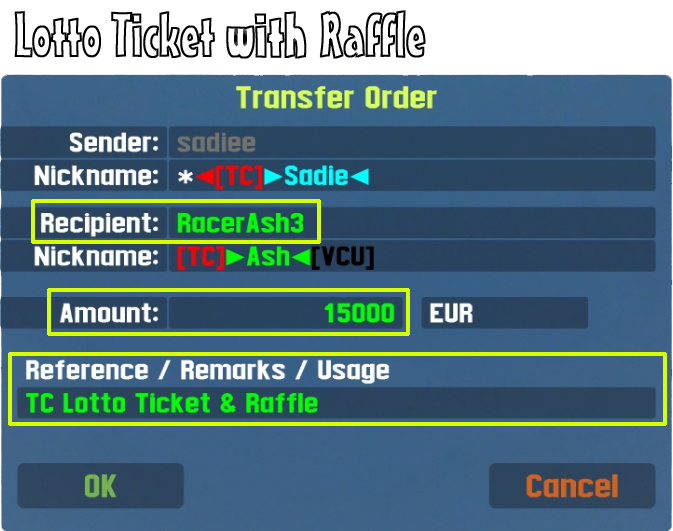 A Raffle Code may be also purchased alongside your ticket which will produce a randomly generated alphanumeric code which will be entered into a prize draw at 23:00 UTC on Saturday 20th April 2019. The prize fund for the winner is €40,000. On the night of the draw, if the Bonus Ball drawn matches your selected number, you will win the jackpot of an estimated €140,000! Select an available bonus ball from the list of numbers further down in this thread - Please note, this list will not always be 100% up to date, please check the 'Last Updated' time and cross reference to replies within this thread after the most recent update. Send an Insim Bank Transfer payment to 'RacerAsh3' no later than 24 hours after your selection - Any monies sent via !send will not count as valid entries. You can access the Home Menu when in a safe zone or in spectator mode. 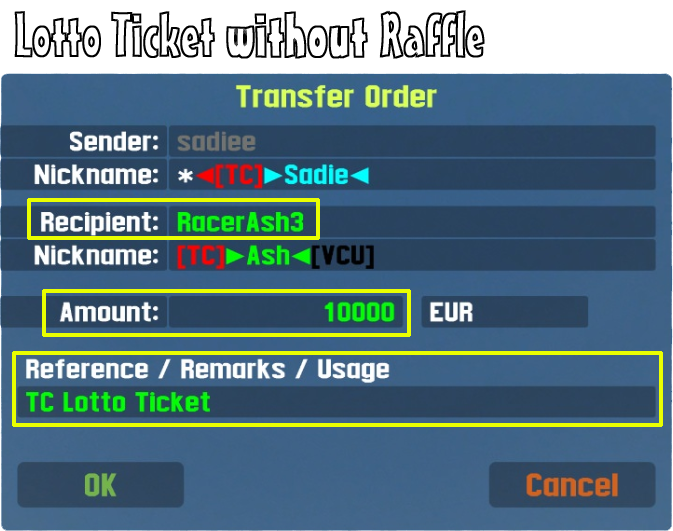 For a Ticket without a raffle code, you must send €2,500 with a 'Reference' of "TC Lotto Ticket"
For a Ticket with a Raffle Code, you must send €3,500 with a 'Reference' of "TC Lotto Ticket & Raffle"
Awaiting your ticket to be delivered to you via Forum PM. Please ensure you keep this ticket and Raffle Code safe as you will be required to present this upon request. There is only one winner for a Bonus Ball prize and one winner for a Raffle Code prize. Initially only one ticket may be purchased per player, until 24 hours prior to the event end, where any unsold tickets may be purchased by those whom already have a ticket. Selected Bonus Ball numbers cannot be guaranteed until successful completion of funds transfer and as such will be treated on a first choose - first paid basis. Prize money will be transferred to the winner(s) no later than midday on Sunday 21st April 2019. Any reference to monetary values are in relation to [TC] CityDriving's Insim Currency and has no reflection against any real-world currency or value. Raffle Codes may only be purchased along with a Bonus Ball Ticket. It is your responsibility to ensure your selection has been processed correctly. You may not alter your selection after it has been processed. These Terms & Conditions are subject to change without notice at any given time. Good luck to all of those who enter!